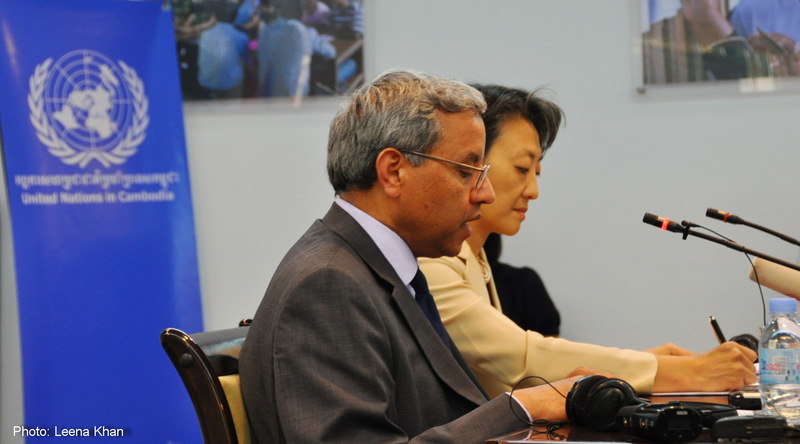 Professor Subedi raised concerns about the treatment of Cambodian people and the facilitation of human rights in all of these areas. He also made a number of recommendations to increase transparency and accountability, such as developing an independent national human rights institution and revising electoral systems to provide a more accurate means of voter registration and enhanced dispute resolution mechanisms for resolving electoral complaints. It will be interesting to see whether the government will take these recommendations forward, and what it will mean for the realization of the human rights of all Cambodians if they do not. Taking note of some positive measures, the Special Rapporteur commended the government on the support it has given to Cambodian migrant workers returning from Thailand. Although he welcomed the enactment of three fundamental laws on the judiciary, Professor Subedi raised concerns that some provisions are “detrimental” to judicial independence and the separation of powers between judicial and political arenas. The barricading of Freedom Park has no justification in law and has a chilling effect on the fundamental rights of freedom of expression and assembly of all Cambodian people. It gives the impression that there has been an attempt to put democracy in a cage! [… ] [I] believe that the management of economic land concessions has not been handled well in this country and that generations of ordinary people have been made to suffer unnecessarily as a result. [… ] real reform in the approach to governance is inevitable in Cambodia […]Those who resist change find that one day change has been forced upon them by developments beyond their control. These are strong words that really highlight some of the ongoing challenges to human rights and broader governance issues in Cambodia. It will be interesting to see what more he has to say on these issues when his report to the United Nations is released later his year. Rebecca Linton and Leena Khan, CCHR Professional Volunteers, contributed to this blog post, as well as Valentine Gavard, CCHR International Intern. This entry was posted in Business & Human Rights, Fundamental Freedoms, Judicial Reform, Land Rights and tagged Cambodia, Human Rights, Reforms, Special Rapporteur, Subedi, Surya P Subedi, United Nations by Cambodian Center for Human Rights. Bookmark the permalink.